Ergo...my musings by Vivian: Why Does Anybody Care About Pantone’s Color of the Year? Why Does Anybody Care About Pantone’s Color of the Year? 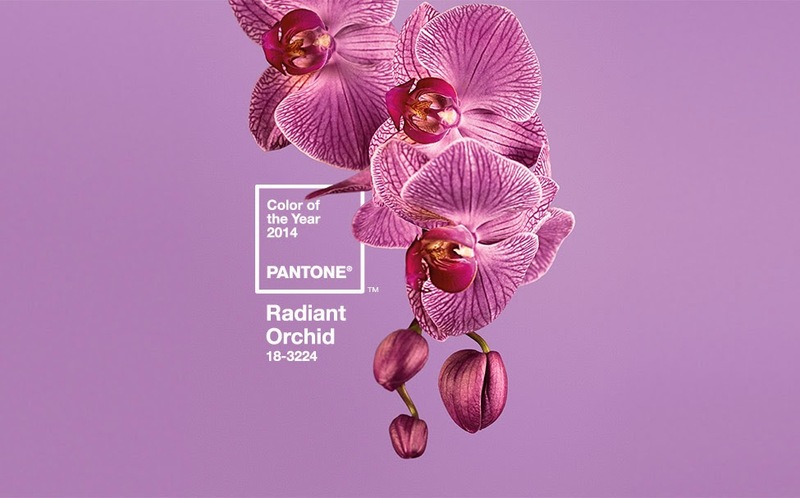 Apparently, according to the sages at Pantone, “Radiant Orchid” is THE 2014 COLOR OF THE YEAR! Emerald is so 2013. Nobody should be caught wearing emerald in 2014. Just why a corporation headquartered in New Jersey should decree what color is “right” for the fashion and design industries in a particular year is beyond my comprehension. But apparently, it MATTERS! Pantone has been around since 1963. Its founder, Lawrence Herbert, developed a system and language for identifying and matching colors across industries. This is, no doubt, why Lowe’s was recently able to duplicate the color of my Benjamin Moore bathroom wall color in its Valspar paint. This was critical because Benjamin Moore wasn’t open on a Sunday when my husband and I decided we just had to paint the bathroom. The technology developed by Pantone has revolutionized the graphic arts, design and fashion industries. However, I am puzzled by the power of the Pantone Institute to tell us what color we should embrace in a particular year. Frankly, I do not appreciated having my delicate senses assaulted by “radiant orchid” in the aisle of Lowe’s and Home Depot. If Vogue and W want to embrace Pantone’s Color of the Year – go for it. But I do not need nor want a color company in New Jersey to tell me what color I should use to decorate my environment or adorn my body. Even if it were Paris, London or Sydney I would look upon such a proclamation with derision. But New Jersey? I think not.